How do you measure travel time? Miles? Or Minutes? Or Rows? first off, the distance changes—for 2 reasons. First, I often combine errands with my travel time.. (and a mile detour WEST add 2 miles to the total distance) and the distance varies by the road taken. The LIE is a shorter, but often less pleasurable drive. The mileage is significantly different-- 3 miles! The parkways: a collection, the Grand Central, that change names as it crosses the county line and becomes the Norther State, and from there the Wantaug State, and from there the Southern State before I exit for local roads (109 East) are pleasurable—but meander and slowly but surely rack up extra miles. Same goes for work. As the crow flies, I am about 12 miles from where I work. If I drove-- it would be 15 or so miles. I live on Long Island (No I don't!, I live in Queens, and NY, politics trumps mere geography!) so I need to cross a bridge—the closest to me on the Queens side is actually a tunnel (Mid town tunnel) and has a toll. The subway isn't very direct either—I take the R—which meanders a bit in queens, and then comes into Manhattan at 61st –and goes cross town and end up at Broadway (where I want to be!) and 57th street. But there isn't a direct connect at that point to trains north. In order for me to connect to the uptown Broadway trains, I need to go a mile south (to 42nd street) and then double back to on my way to 103rd. About an hour, door to door—with 2 blocks walk to the subway, and 2 blocks walk from the subway, and single block's walk changing trains. 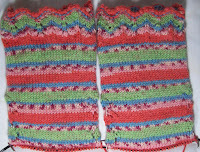 From home to 42nd street—20 complete rows of the heel flap. 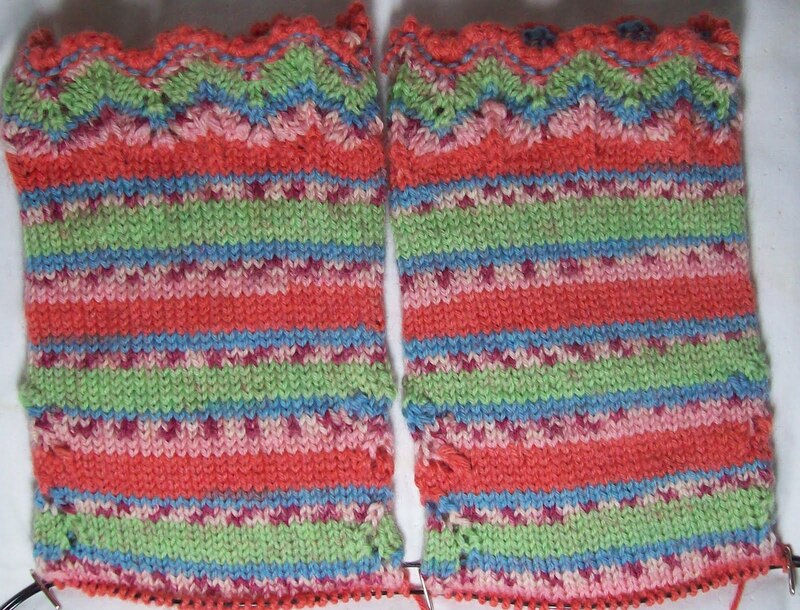 From 42nd street to work –2 more sets 24 rows in total so far. Before work, the socks had cuffs and legs, (see photo; by the time I got to work most of the heel flaps were completed. Before I leave this after noon, the flaps will be completed, and going home will see the heels turned, and the gussets picked up. At home, the bed socks (a project for a fund raiser) have toes.. and nothing else. But that will change too. No wonder you knit so many socks! Seems like the perfect project for your commute. Sounds almost like our Vermont "You can't get there from here."